'The Importance of Being Described... Earnestly', Chloe Clarke. Photo by Kirsten McTernan. As we spread the word about our latest funding open-call for work by disabled artists and companies making disability-led art, we take the opportunity to highlight that all of our funding strands are open to those based in Wales. A few upcoming events will give Wales based artists and allies an opportunity to gather and meet with some of the Unlimited team to find out more. Why not join us? Funding from Unlimited is supported by a range of funders, and some elements change from round to round. This year, we’re thrilled to announce that disabled artists and companies creating disabled-led art based in Wales can apply to all funds – Emerging Artist Awards, Main Research and Development Awards (for up to £10,000), and to the Main Commissions (for up to £60,000). This is to fund new artistic projects across all artforms, and for the first time includes a range of partner-awards – we hope these trigger some exciting ideas for you. Check our website for full information on the funding available and how to apply. Let us know if you have any access requirements we should know about and we will help make arrangements for you. 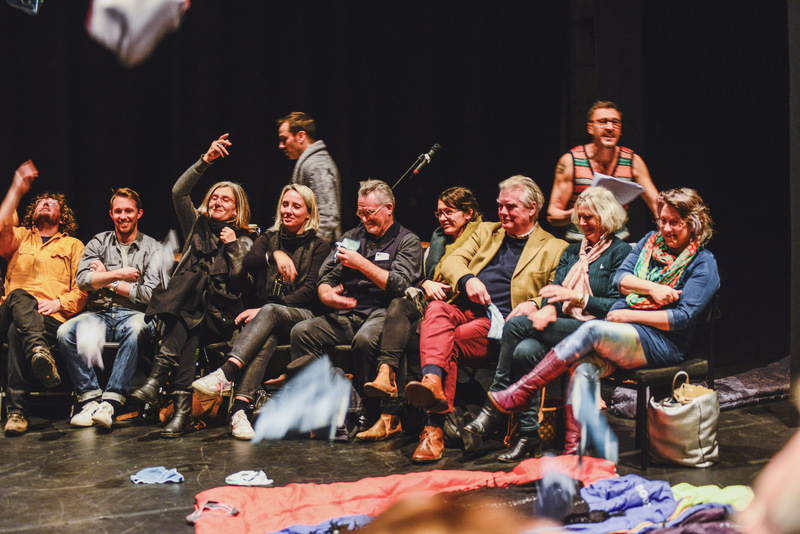 As an arts commissioning programme, Unlimited funds new projects, but it also triggers conversations: we recently hosted Unlimited: The Symposium in London, Unlimited Connects in Bristol and Be There At The Start in Leicester. We aim to bring people together to encourage a wider sector shift in who makes and experiences art. For our next event, we’ve partnered with Disability Arts Cymru and Wales Millennium Centre to host Unlimited Connects: Wales, a panel discussion and networking event about developing more support for disabled-led arts in Wales. Join us! For more information and to book tickets visit the Wales Millennium Centre website. A number of Welsh artists have already gained support from Unlimited from Tom Wentworth who gained mentoring support to Kaite O’Reilly who gained both a main commission for Cosy and an International collaboration award for And Suddenly I Disappear: The Singapore/UK ‘d’ Monologues. We also supported Chloe Clarke in the research and development of innovative The Importance of Being Described… Earnestly?, which then gained full commission funding from Arts Council Wales and begins touring this week. In the past, we’ve also supported the comedy of Ted Shiress, Richard Newnham and his online soap opera with the support of Hijinx, and visual arts work with talented young disabled artists working with Celf o Gwmpas and more. If you know disabled artists or companies in Wales that are interested in making work in any artform, please help us spread the word. Chloë Clarke – The Importance of Being Described…Earnestly?